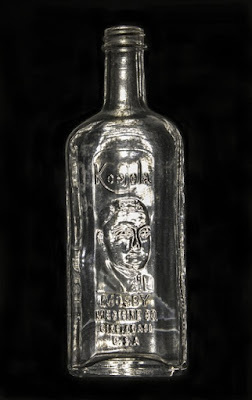 So all the questions about the bottle are answered except one: Who was Mosby, the man who put his face on millions of bottles? The answer is unmatched in patent medicine history. Built in the late 1920s in a secluded area for his Hyde Park mansion, Mosby ordered bronze outside doors, bathroom fixtures said to be gold-plated and a 40x60 foot Rookwood tile swimming pool. The story of Mosby’s rise and fall can be ieced together from newspaper accounts from 1930-1944 when he frequently made news. He was born in Tyronne, Kentucky in 1888 and attended rural schools. It was only after he had worked at a number of odd jobs, including sales for a drug company in a number of locations, that he settled in Cincinnati in 1918 as a waiter. With $3,000 he saved he started the Mosby Medicine Company in 1923. 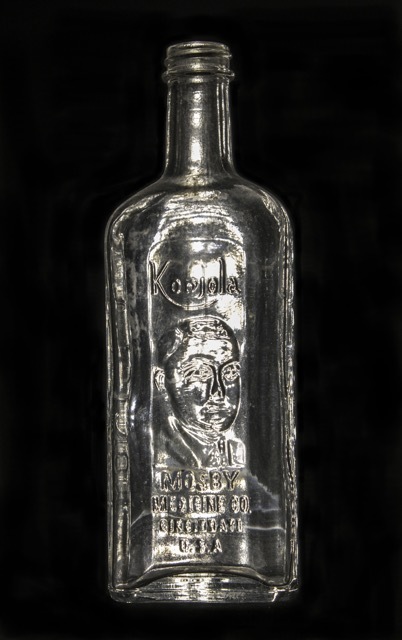 The business began as a one-man operation with Mosby mixing, bottling and selling his concoction. 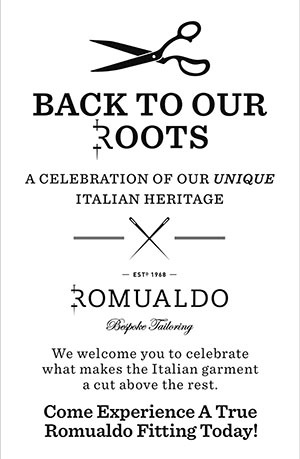 First he introduced his Konjola in Richmond, Indiana and then through the Dow drug chain in Cincinnati. Seven years later he had “more than 200 employees, turning out and selling 40,000 bottles of Konjola a day" and spending large sums on advertising, mostly through newspapers. 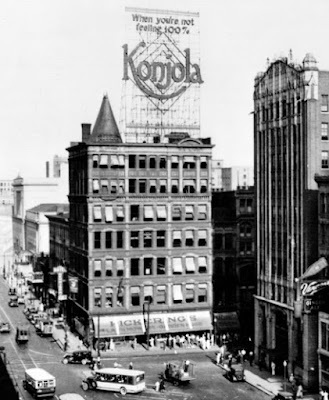 In Cincinnati he had a huge Konjola sign at the southeast corner of 5th and Main streets. With the stock market crash followed by the Depression, Mosby was no longer able to meet his financial obligations, and creditors began to sue. Fearing the proliferation of suits, Mosby filed suit to dissolve his corporation a receiver appointed. The company’s legal difficulty was not the only time Mosby was involved in court action. His divorce case set off a chain of suits marking his private life public. The settlement became newsworthy when the $400,000 alimony was the largest paid in Hamilton County, Ohio to that date. Although Mosby made several attempts to re-establish himself in his kind of medicine, none succeeded. By 1939 he turned up in Dallas, Texas, where he married his fourth wife, a 25 year old night club entertainer. Returning to Cincinnati, he tried to make a comeback by partnering with former “bootleg king” George Remus in the Giljan Medicine Company. 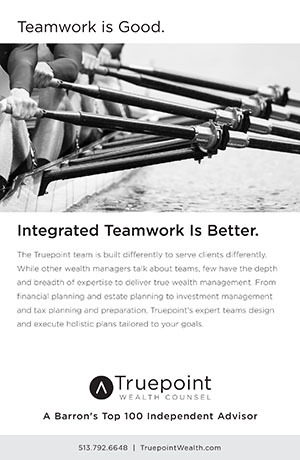 Both the partnership and company were short-lived. In 1944 at age 56, the “Konjola King” fell and hit his head on a Cincinnati sidewalk and died several days later. An inquest determined there was no foul play. Today neither the name nor the face is familiar except for a few bottle hunters who saved a Konjola bottle. I have two FULL bottles of Konjola, and other Konjola artifacts. His Hyde Park mansion was at 3815 Erie Ave.